In Jack and the Beanstalk video slot, Pa casino players will start a winning journey from the moment the game loads. It’s no secret that this slot has one of the largest coin win available in online casinos PA. In fact, its max payout of 600,000 coins is a massive factor that makes this game a hit. Not to mention that this slot also has excellent bonuses and they’ll give your bankroll a boost when you activate them. Actually, when you hit a lucky strike on Jack and the Beanstalk you’ll have the feeling the slot is “broken” because it will keep on giving you spins! Indeed, Jack and the Beanstalk uses a unique type of Wild symbols. And know that any Wilds you’ll get on the reels will trigger a re-spin as the symbol moves from right to left. If that sounds exciting, don’t miss what’s next! Bonus Features: Treasure collection, Free Spins and Walking Wilds. What’s great about Jack and the Beanstalk? First of all, the Walking Wild feature is easy to understand. You can activate it both in the main game and in the free spins bonus. Second, it’s straightforward to activate the free spins. All you’ll need is 3 treasure symbols, and you’ll get the 10 free spins. Also, know that Jack and the Beanstalk has an achievement counter in the free rounds. So, this feature adds another level of excitement to the game. Indeed to activate it you’ll need to collect keys symbols that will appear on the reels. You’ll notice the achievements are on the button right of the game and that they’re 3 achievements a bag of coins, a hen, and a harp to complete. When you finish one, you’ll automatically get more wilds on the reels. Naturally, when this feature is active, you’ll always win really big! What’s not so great about Jack and the Beanstalk? In short, Jack and the Beanstalk is a 2013 game. While it does have good graphics, players who seek excellent visuals will find the Fairytale Legend of the Little Red Riding Hood or the Legend of Hansel and Gretel, have more to offer on that front. 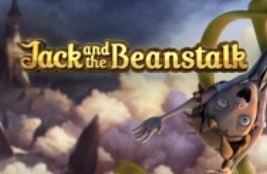 To sum up, we think that Jack and the Beanstalk will appeal to all levels of players. Granted that the min bet of $0.20 up to $100 is more then Starburst per say. But we think this game has a lot more features and more paylines too. So, it’s worth paying a bit more to have more fun! Plus honestly, you’ll only have to put in $0.10 more (min bet) to get a chance to win 12 times more then if you played Starburst! Anyways, both games are great, but it just depends on the type of player you are. Do you prefer a straightforward game or a game loaded with features? Decide what you prefer at Play SugarHouse casino or Parx online casino today!